Because of the unpredictable nature of their work, nurses face among the highest rates of work-related injury and illness. Alberta Workers' Compensation Board statistics show working in health care is more dangerous than working in such industries as mining and petroleum extraction. UNA takes workplace safety extremely seriously and has formed Occupational Health and Safety committees to ensure employers provide healthy and safe working environments. We view this as not only an essential protection of the wellbeing of our members, but as a vital protection of the quality of care received by our patients. We recognize safe and competent care cannot be provided in an unhealthy or unsafe workplace. UNA Locals’ OH&S committees strive to represent nurses in matters related to health and safety in their workplaces they monitor working conditions and practices to ensure safe and healthy workplaces, provide a formal process for recommendations to eliminate hazard and ensure compliance with legislation, plus provide a systematic way to solve problems and eliminate safety concerns of nurses. Most UNA collective agreements include provisions that allow health and safety concerns not resolved by the OH&S committee to be taken to a higher level of management or escalated to a resolution process. The most effective way to deal with any concern about workplace health or safety hazards is to file a formal Occupational Health & Safety complaint. 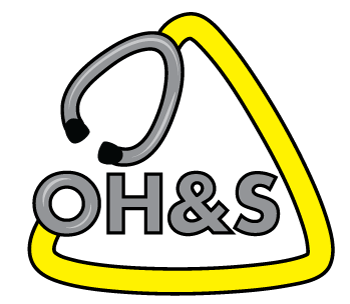 Instances of occupational hazard or nurse safety should be dealt with through a complaint to your local OH&S committee. Your collective agreement allows for a process to resolve your OH&S concerns.